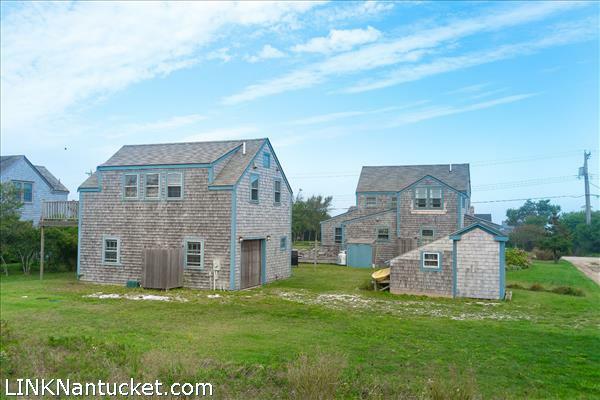 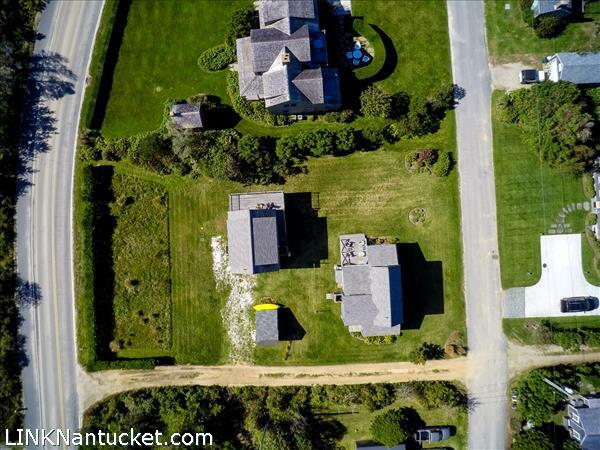 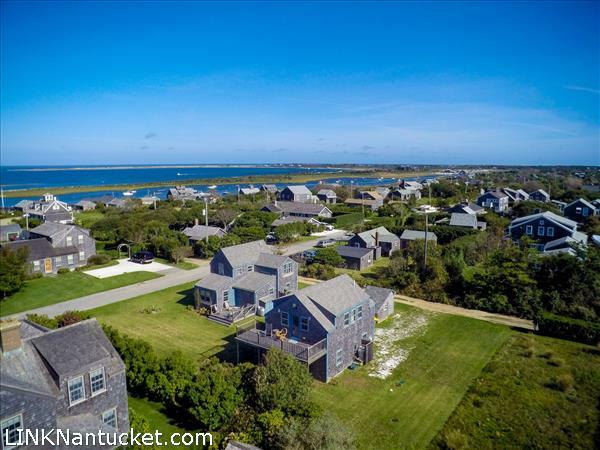 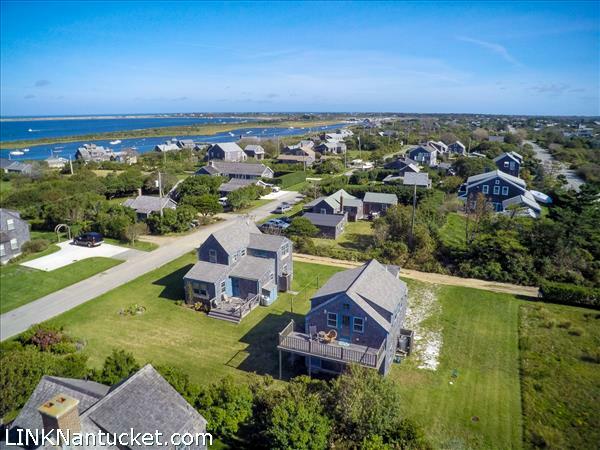 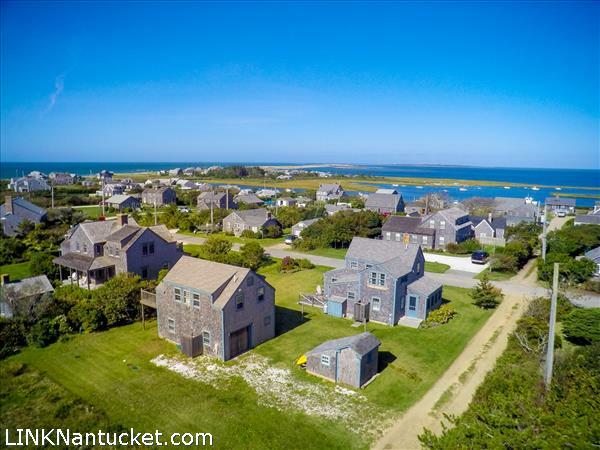 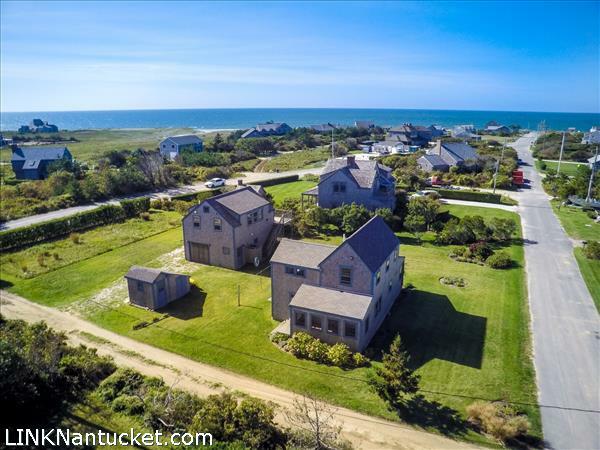 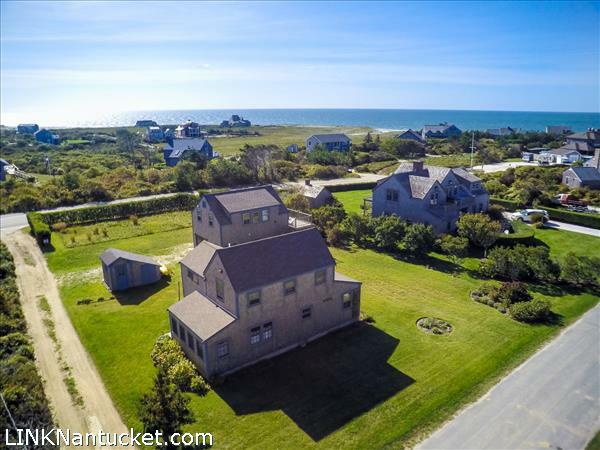 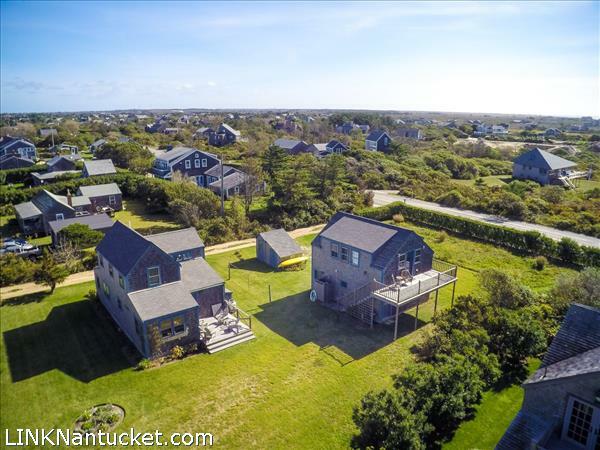 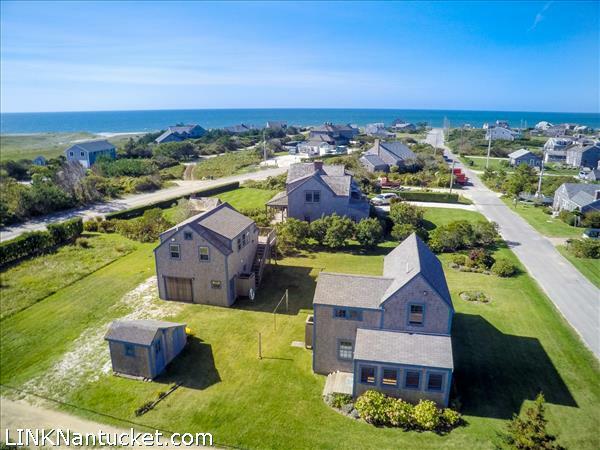 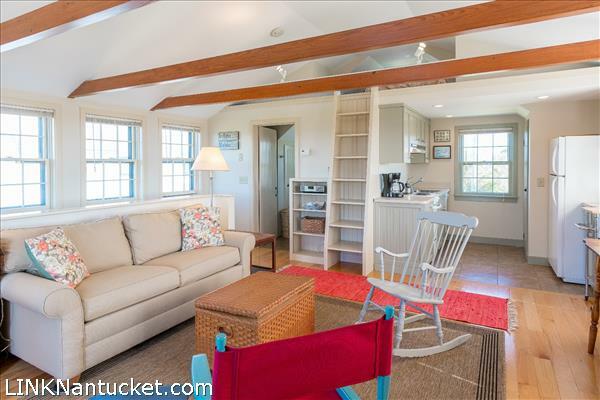 Nestled in the heart of Madaket, these two dwellings are the perfect family getaway. 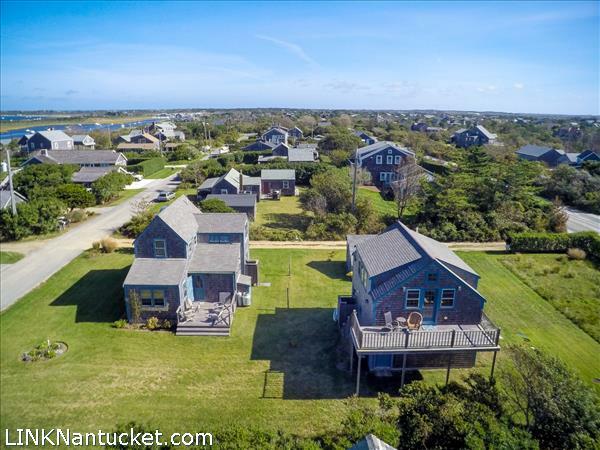 Located just moments from the creek and the beach, this is a true lifestyle property. 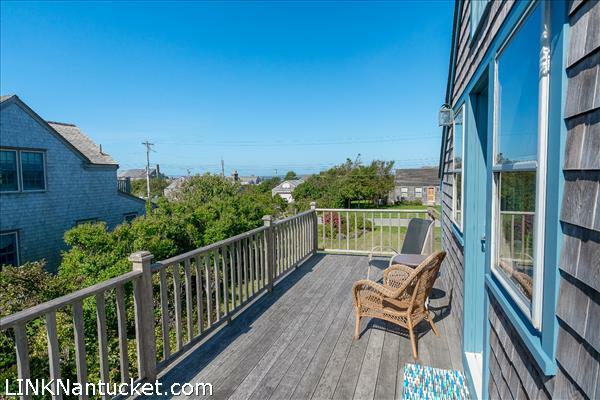 Enjoy views from the kitchen window and sweeping views from the second floor decks in this updated construction. 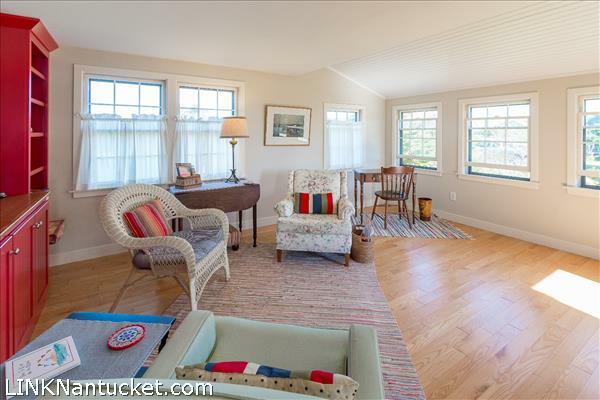 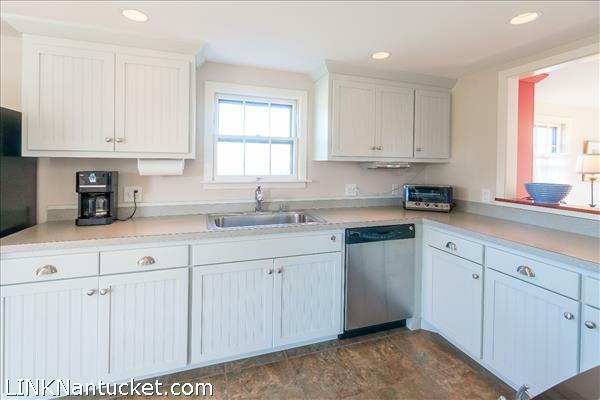 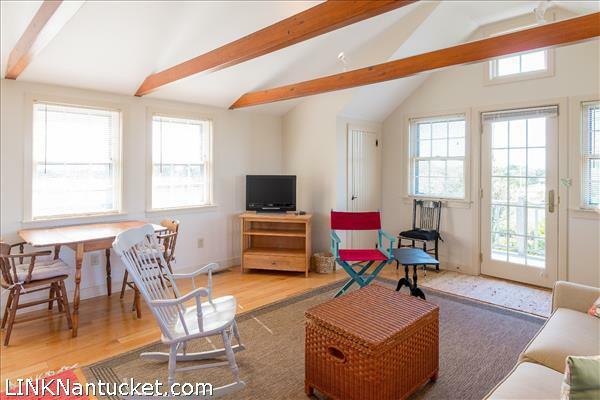 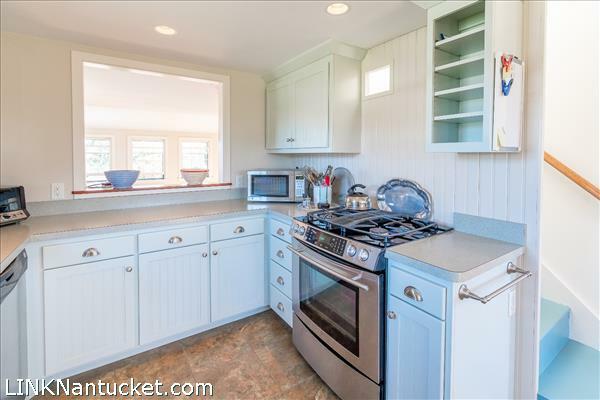 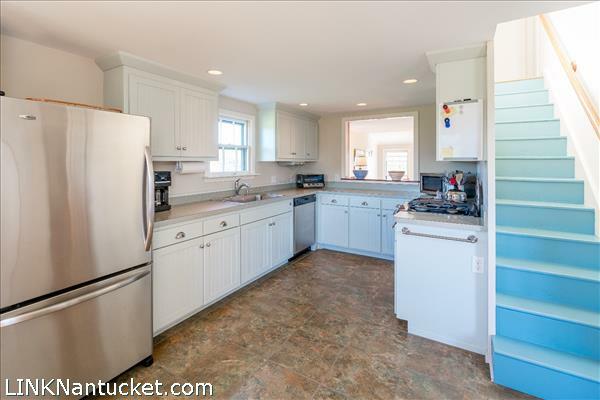 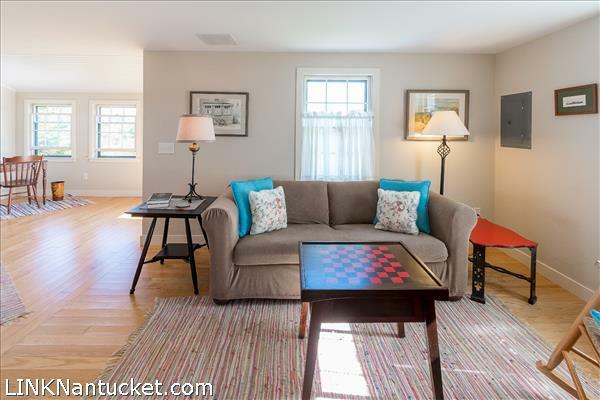 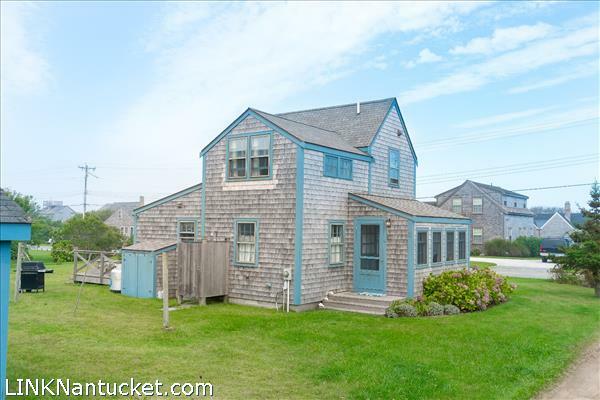 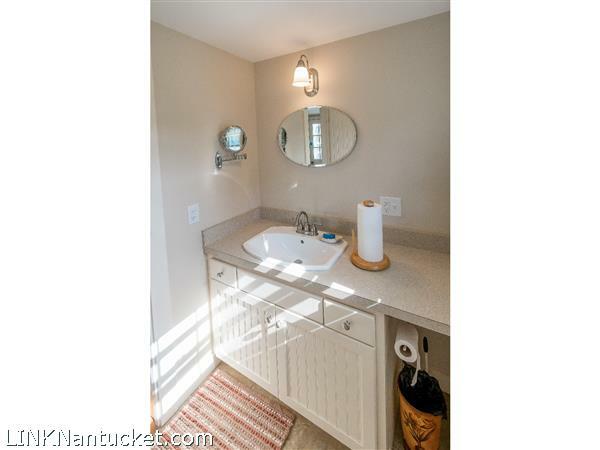 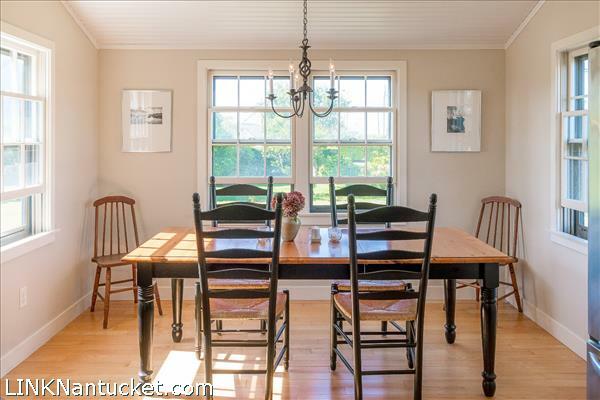 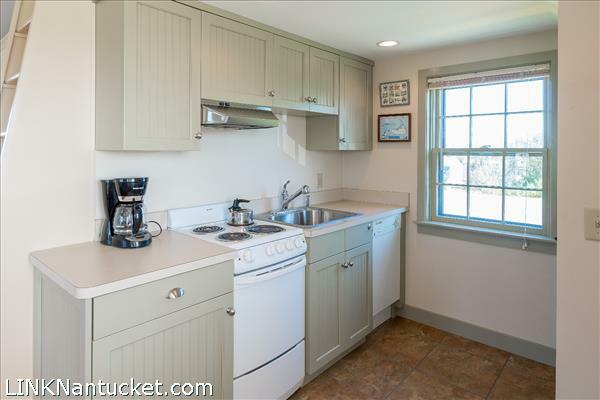 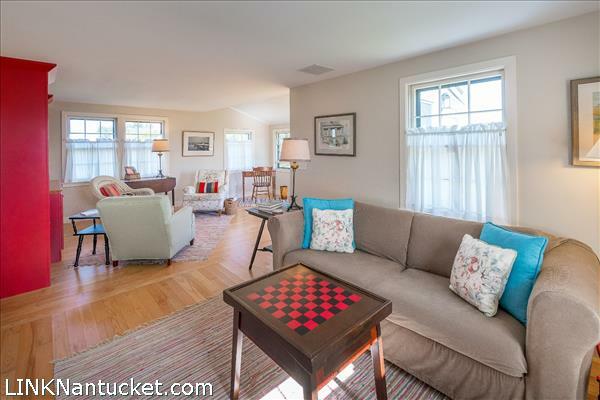 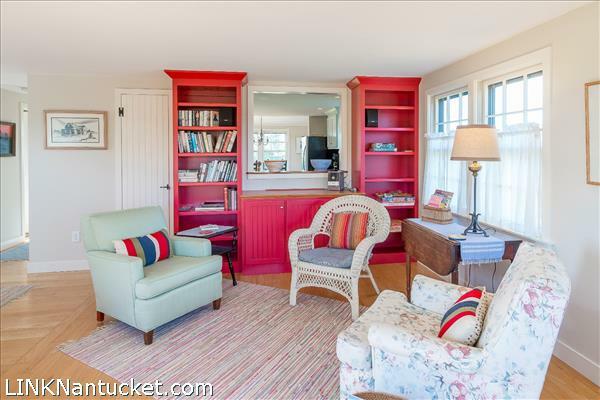 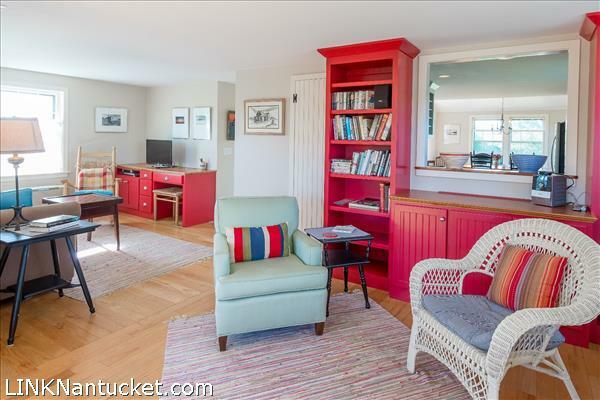 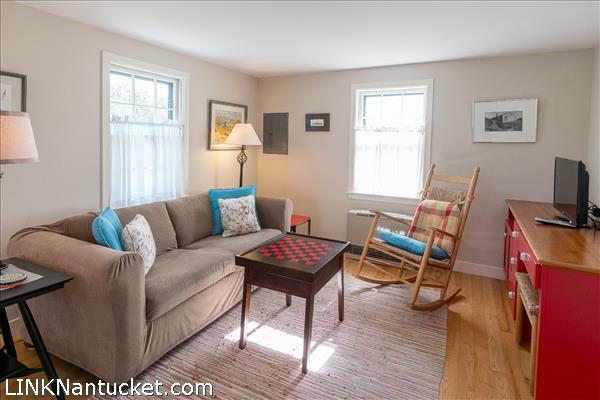 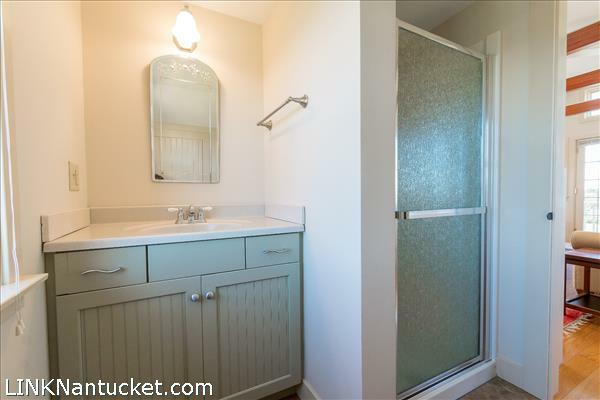 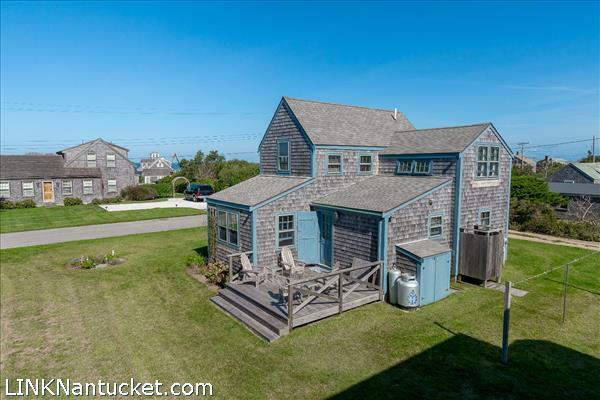 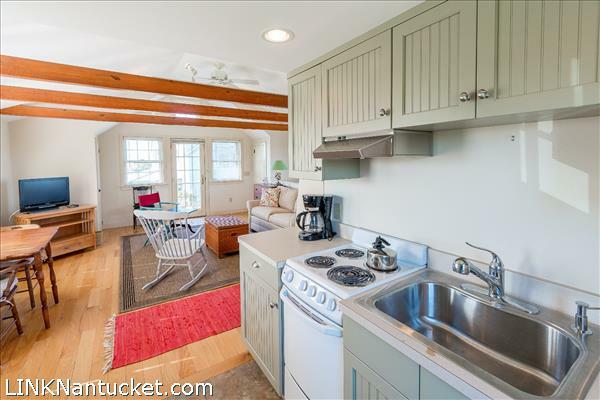 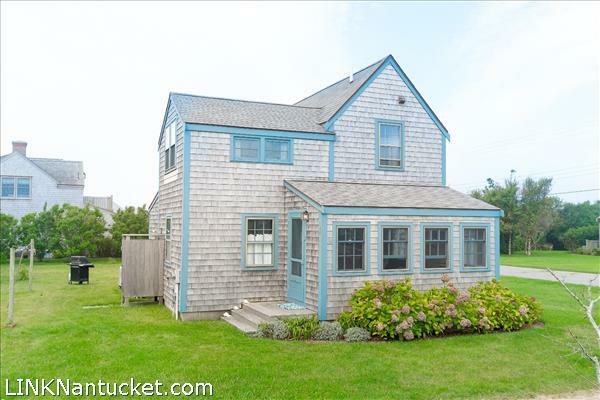 The first floor exudes charm from the original Madaket cottage, but has an updated feel with modern conveniences. 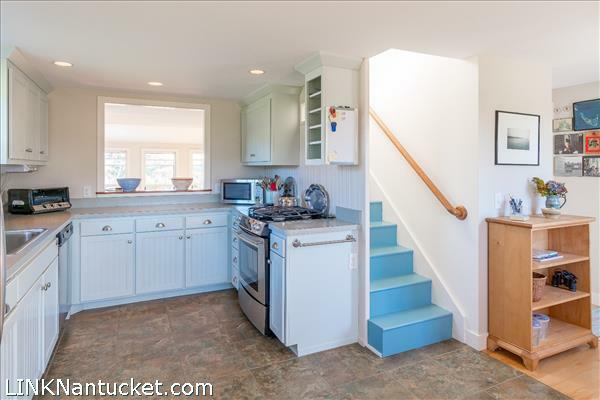 Enter into an open living space that leads to the deck and kitchen. 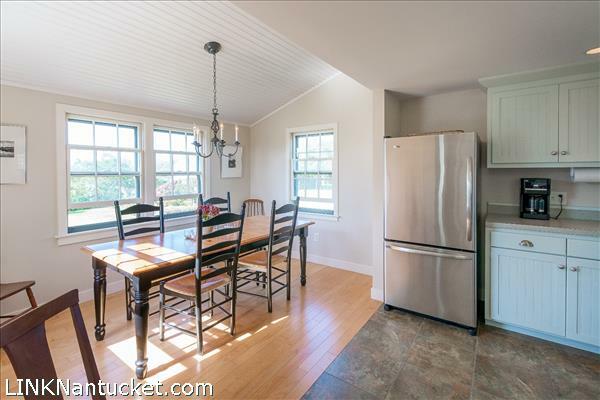 The kitchen and dining are separate, but open to an inviting living space. 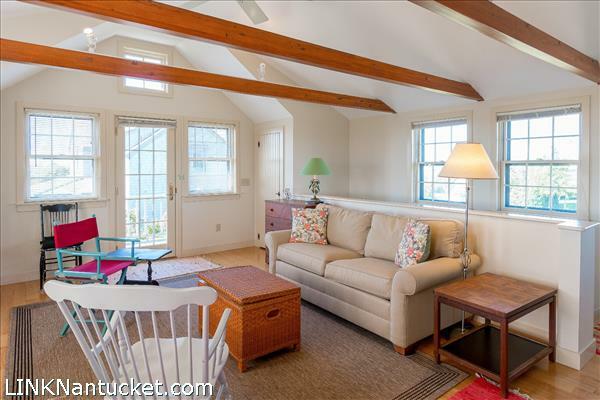 The second floor is wrapped in water views and gives the feeling of being on a ship. 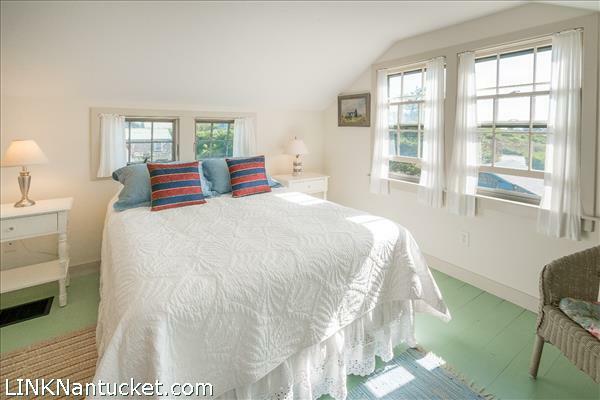 There is a bigger bedroom that acts as a master that looks back towards the ocean and a smaller bedroom on the front portion of the house. 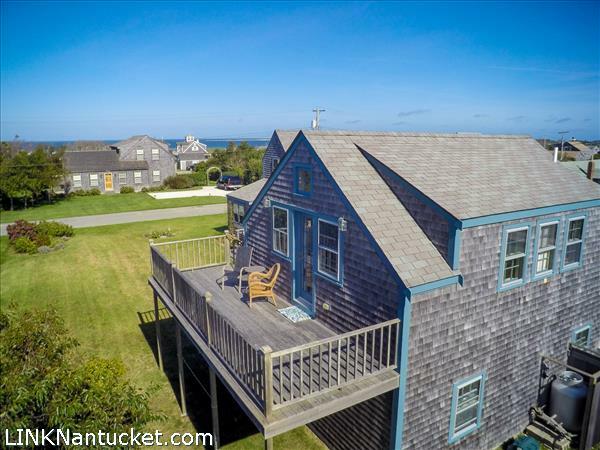 This upside down structure takes full advantage of the sweeping views. 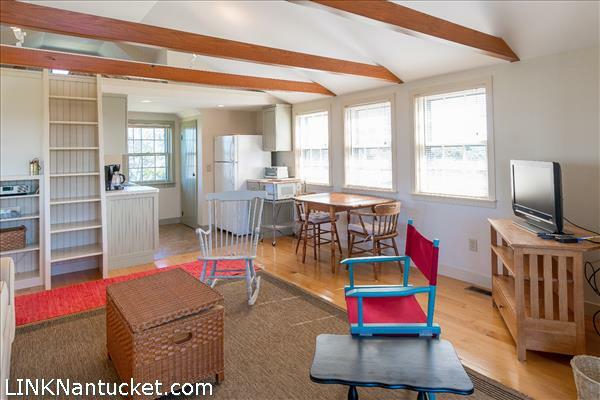 The second floor has a big open living room and kitchen. 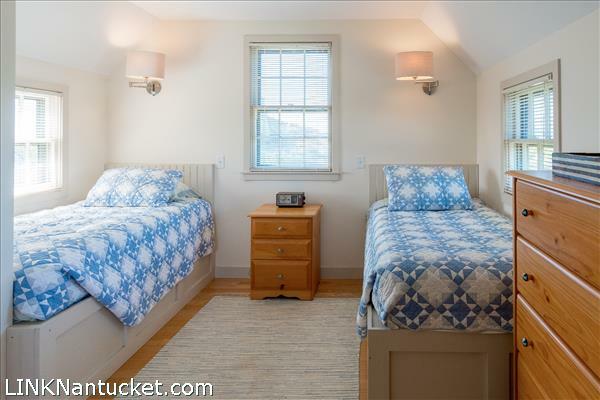 The loft acts as additional sleeping. 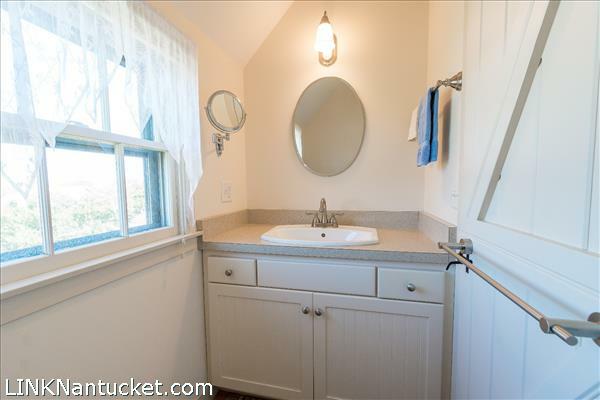 The first floor offers storage and a full garage.